Our clients come from locations near and far to shop at the world-renowned furniture showrooms of High Point. No matter how large or small your interior design project, High Point Furniture Shopping Tours can help you make the most of your time in our city. We guarantee that you’ll be satisfied with your shopping experience and enjoy the variety of shops and showrooms at your disposal when you work with us. Whether you are furnishing a room or an entire home, your experience at the Furniture Capital of the World will be stress-free, productive, and enjoyable. We’ll help you find just the right furnishings and accessories that will make your house feel like home. 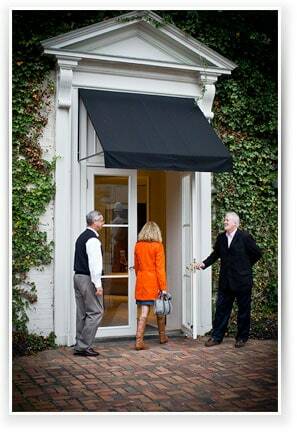 Even the pros find it easier and more efficient to navigate High Point’s 10 million square feet of showrooms, boutiques, and galleries with a seasoned professional. Designers, we’ll help you check off your punch list for each client in record time! If you rent out furnished properties to others, ensuring that the interior décor is up-to-date, in good repair, and attractive can make the difference in encouraging repeat business. However, it can be hard to know you’re getting the best deals on quality furnishings. We’ll help you source everything you need at prices that make good business sense. While clients from non-US locales love the idea of shopping High Point to get the best quality furnishings, international shipping can be a challenge. We help clients from all over the world arrange their furniture shopping itineraries, coordinate orders, and ensure shipments make it to their intended destinations with as little hassle as possible.